For those who wish to grow a flower garden but have no idea where to begin, a flower roll-out mat may be an easy option. These mats are designed to take the guesswork out of flower gardening; all they require is to be rolled out and watered. They come in various mixtures--annuals; annuals and perennials; and perennials. Seed mats are made from two layers of organic, wood-mulch tape. According to the Gardening Guides website, flower seeds are evenly spaced between the fibers. The mats are designed to be rolled out into a flower bed. They can be cut to fit any size space. There are many varieties of roll-out flower mats on the market. Some are specially designed to present a certain garden theme. Examples include a butterfly and hummingbird mix, English garden mix, shaded garden mix and a fragrance collection. The cost of purchasing a flower garden roll-out may vary depending on the brand and variety. Those who order from an online retailer should factor shipping costs into the price. Overall, flower roll-out mats are more expensive than purchasing individual flower seed packets. The two main benefits of the flower seed mat are that it takes the work out of planting flowers and they provide continual blooms. 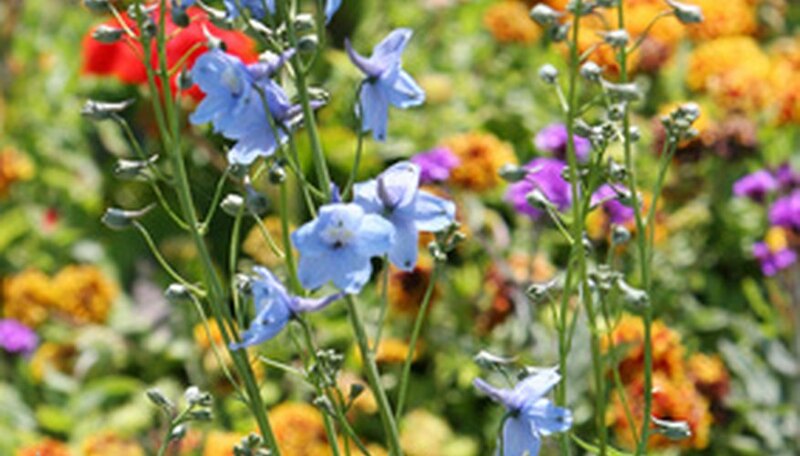 Roll out the garden in the early spring, recommends the Roll Out Flowers website. In most cases, flowers will begin to bloom approximately six weeks afterward. Throughout the spring and summer season, flowers continually bloom, producing enough to gather a bouquet every week to two weeks. The only regular maintenance required for the flower roll-out mats is watering. Best of all, novice gardeners do not need to worry about overwatering. The mats are designed to hold the exact amount of water needed by the flowers. Excess water runs off into the soil or grass.